Just a quick note to let you know I have created a course on meditation to help you develop your skill with ease. Included is a FREE guided meditation audio. At the moment, for a limited time, the course is FREE too – ONLY via the button below. 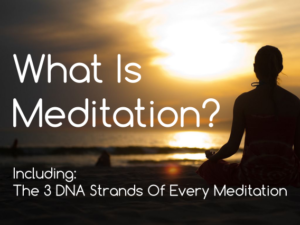 It is a brief course to help you define what meditation is so you can get the most from it. This course takes your understanding to a deeper level, quickly and easily. Suitable for beginners and more experienced meditators – and those who have tried meditation and found it didn’t work (until now).